Learn about the Chihuahua’s history, diet and health to discover what makes this breed unique! Taking their name from the Mexican state where they became fashionable, the Chihuahua breed rose in popularity rapidly in the 19th century, and was recognised by the American Kennel Club in 1904. “Where do Chihuahuas come from?” Well, it is argued that the Chihuahua might have originated in its Mexican namesake state, but most feel that they are descended from various Aztec ancestors. The Chihuahua’s ancestors were seen by the Aztecs as sacred animals, they were consumed as holy food and sacrificed to the Gods! 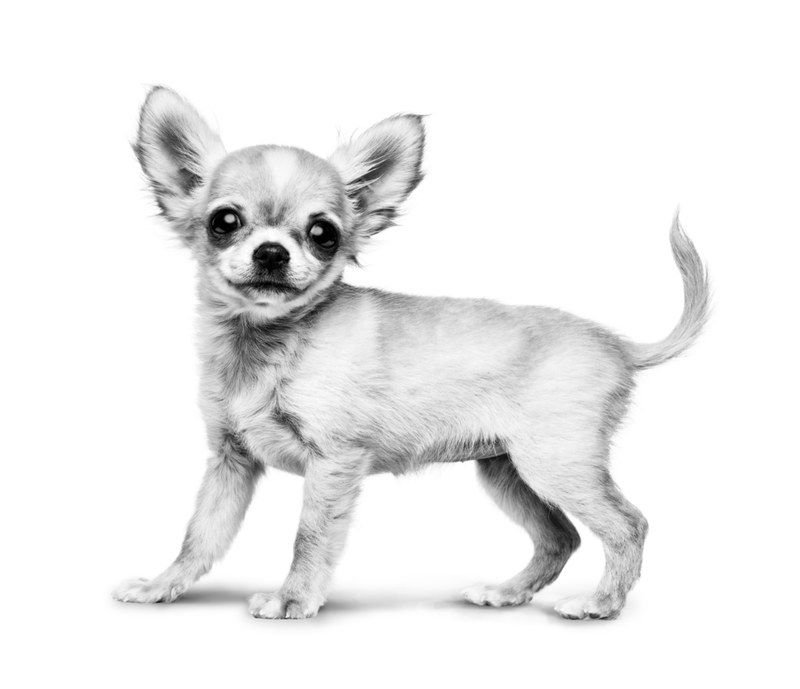 Petite, compact and slender could all be used to describe the Chihuahua. They have a characteristic “apple” domed head with a pronounced stop and well-spaced large eyes and ears. 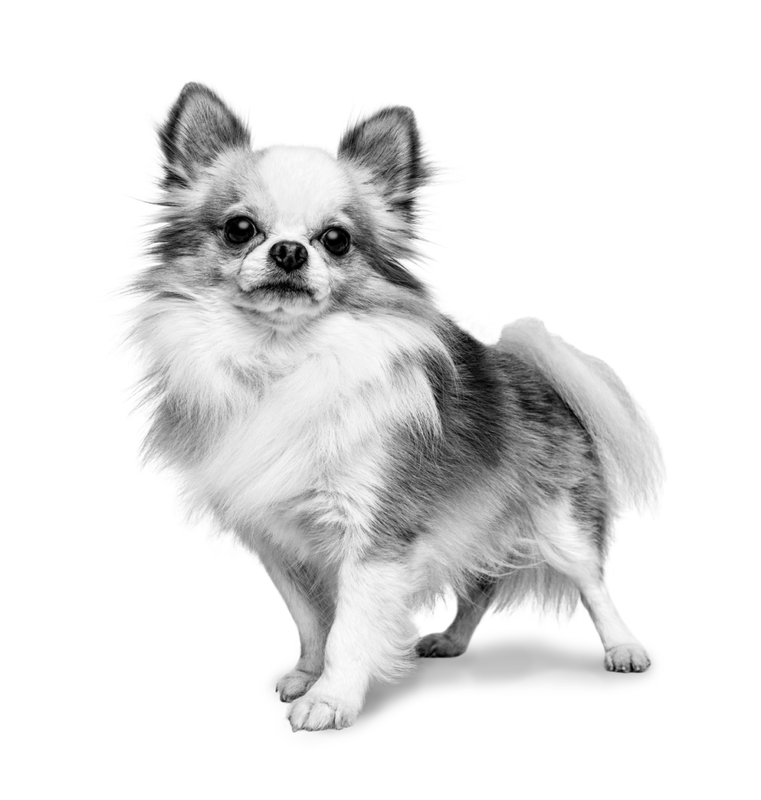 Both long and short coats are allowed for the Chihuahua, but the coat should always be soft – with feathering on the ears, legs and feet, and a large rough on the neck. A variety of colours and combinations can be seen including fawn, chocolate and black and tan. Their tail should be medium in length and set high, held curled over the back, with a long plume of hair in the long-coated variety. Chihuahua grooming, particularly brushing, should take place at least once a week for Chihuahuas with long coats to help control shedding and maintain optimum skin and coat health. The smallest breed of dog in the world but they don’t seem to know it! Busy, lively and full of joy, the Chihuahua’s intelligence and boldness are well-known. They are strong willed and can be possessive of their owners, this along with their alertness and vocal nature make for a very good watch dog. This small breed starts life at only a few grams in weight, but grows very rapidly over a short period of time; growth is complete by 8 months of age. Their tiny jaws benefit from a very small kibble and a highly palatable formula, as smaller breeds generally have a weaker sense of smell and this can contribute to a fussier appetite. Dental issues can be a concern for the Chihuahua, and regular check-ups by the veterinary surgeon are advised. Feeding a dry diet which is specifically adapted in size, shape and texture to the Chihuahua’s miniature jaws encourages crunching – and a diet which includes calcium chelators can help to reduce tartar formation. The Chihuahua’s notoriously fussy appetite can be supported by a diet providing an enhanced aroma within an exclusive formulation specifically tailored to their needs. The best dog food for Chihuahuas will ensure that they receive a complete and balanced diet for their health and wellbeing; even small quantities of treats and titbits can have a big impact on this tiny dog’s diet. Digestive concerns can be seen in the Chihuahua in part due to their size and their predisposition to a diet with a high proportion of varied additions. Constipation and large, high odour stools are common – the right Chihuahua diet is vital for maintaining digestive heath, which in turn will help support overall Chihuahua health. Ideal adult Chihuahua food: ROYAL CANIN® Chihuahua Adult. How Long is a Chihuahua Pregnant For? Why Do Chihuahuas Shake, Even When They Aren’t Cold?